Surf & Bike Hire Byron Bay has a fully equiped workshop available to service your bike with a comprehensive range of quality parts in stock. 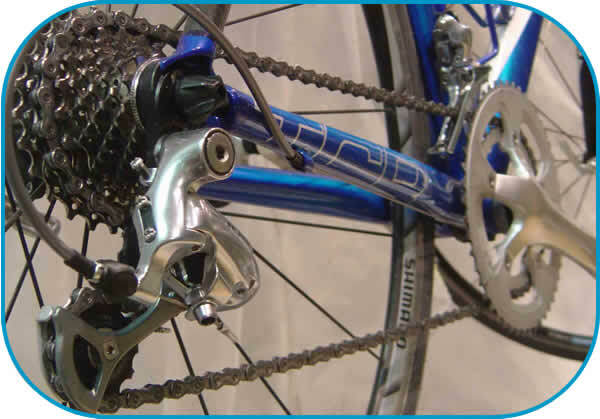 Most work on bikes takes less than half an hour, so we are able to get most bikes back to you on the the same day. Sometimes we have to order parts in, and we can advise you on how long they will take to arrive (we can access suppliers inventories online 24/7) and work out the best solution for your bike. * The Bent Wheel Deal - if it can be trued $18, if not, it's free! Parts are in addition to service rates.